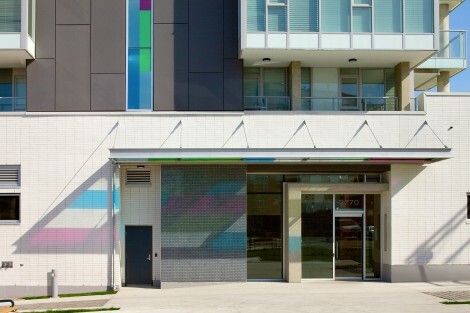 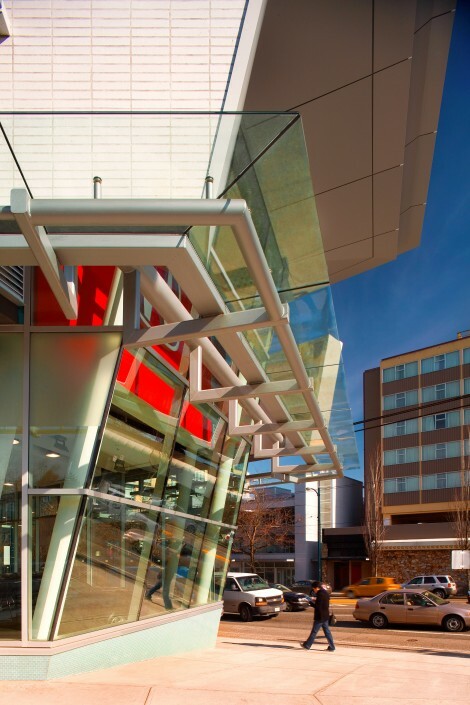 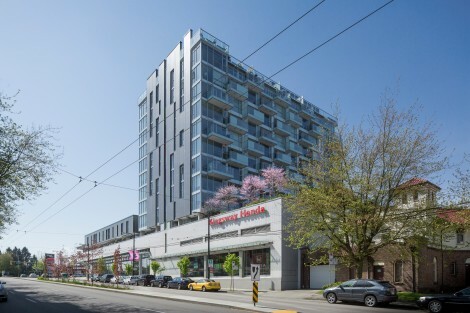 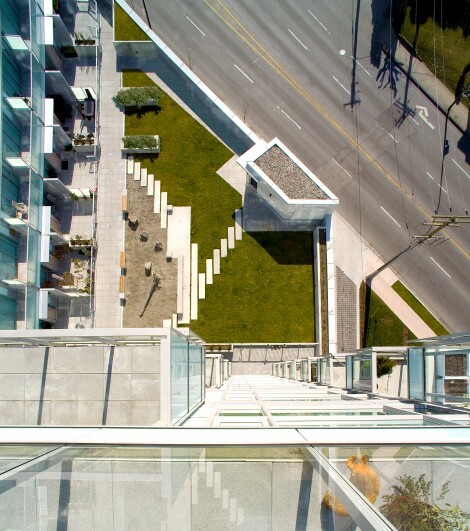 Completed in 2008, Stella is a 10,200 square metre mixed-use project that combines an automobile dealership podium with 96 market residential condominiums. 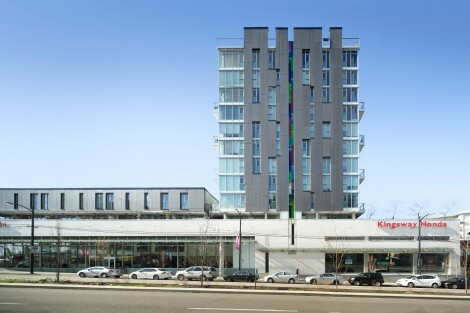 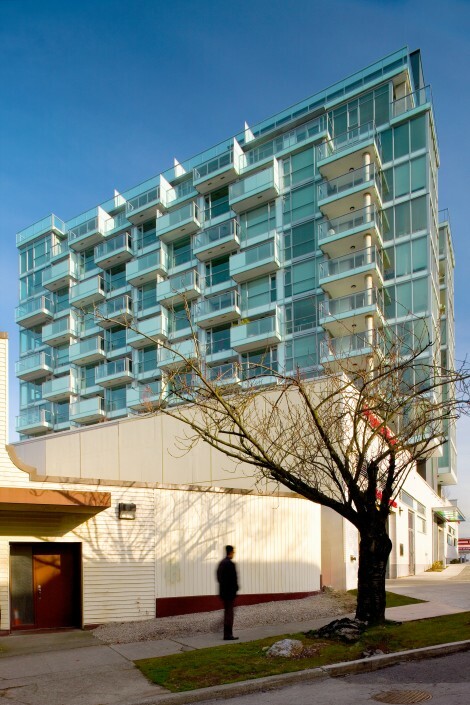 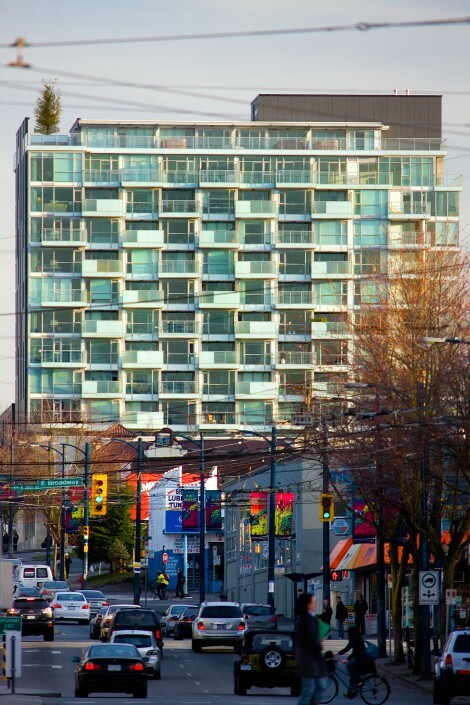 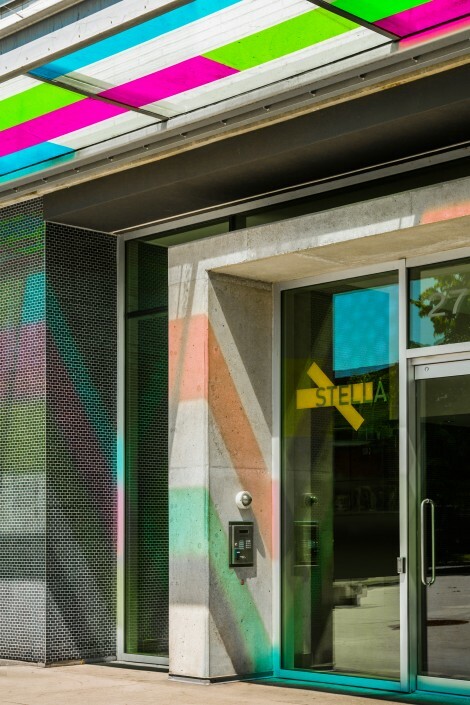 While such a building typology has been developed in Europe and Asia, Stella is thought to be the first in Canada to combine such uses. 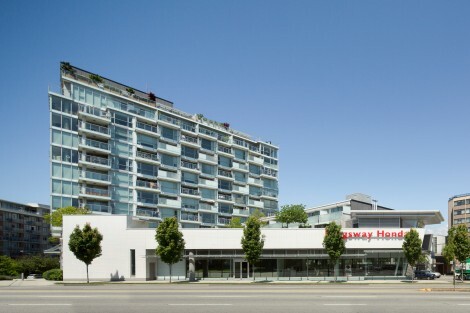 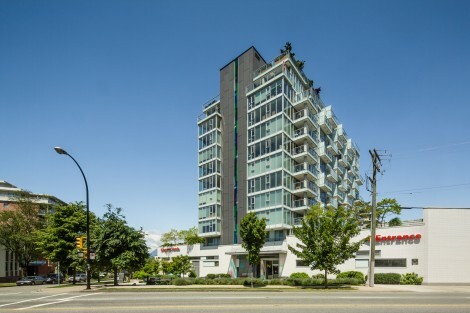 A key goal was to achieve a high standard of liveability for the residential units. 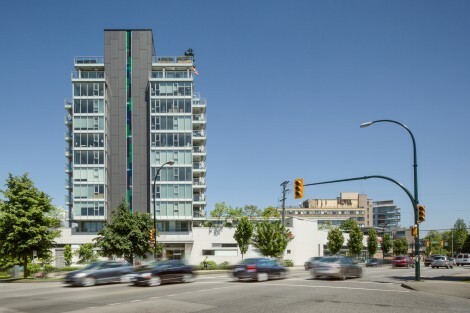 The tower is set back and two-storey townhouse units are arranged to create a sound shield from a nearby intersection. 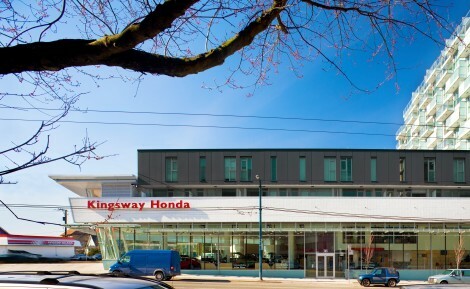 A landscaped roof atop the dealership podium enhances the outlook for the residential tower. 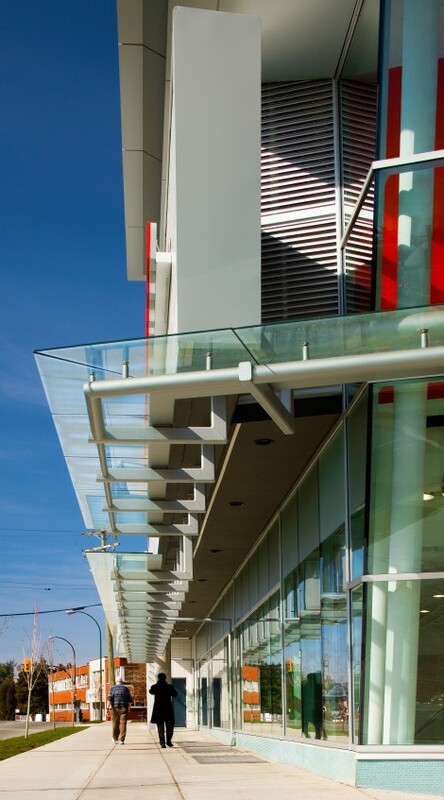 Glazed white brick, concrete, steel and glass are sculpted into a dynamic, canted prow to distinguish the auto dealership. 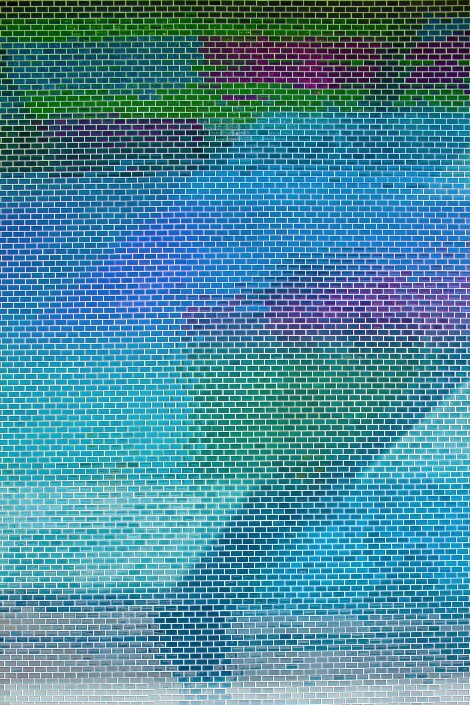 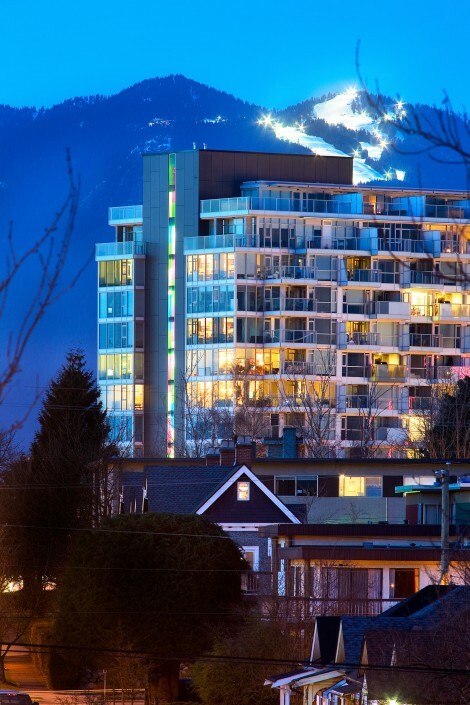 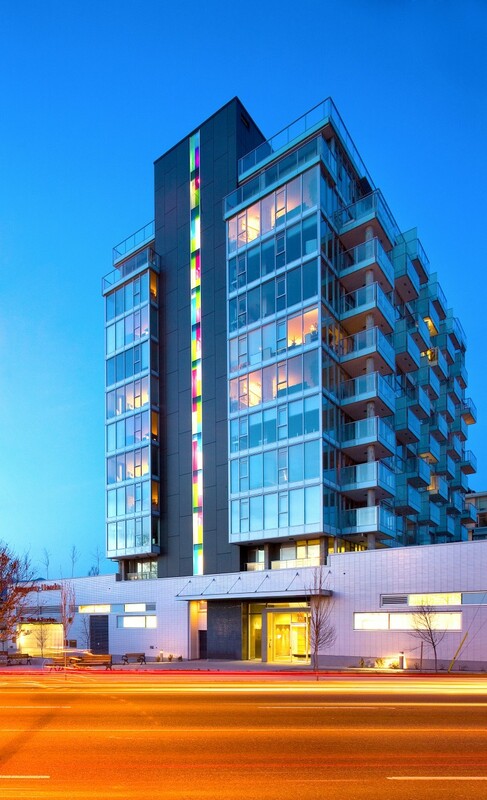 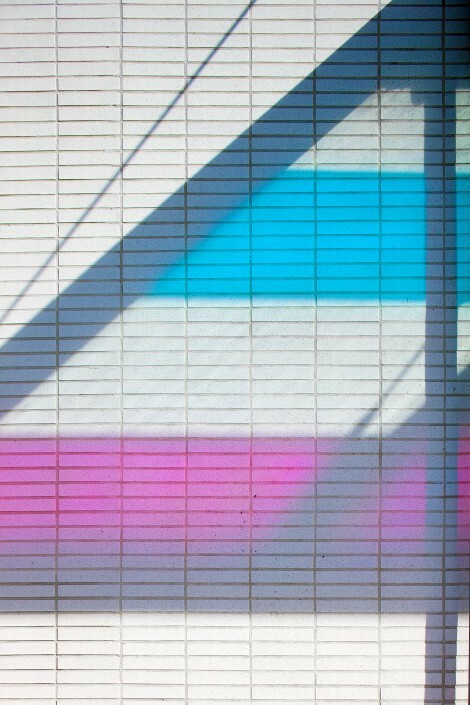 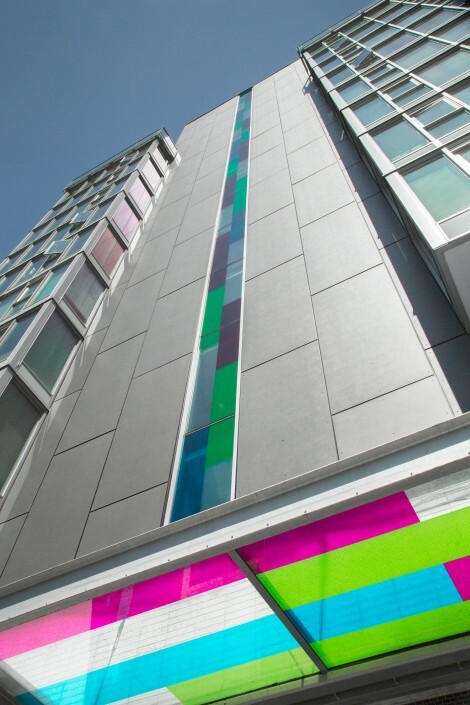 The residential tower features an alternating, offset rhythm of glazed balconies and a dynamic wall of punched openings with a vibrant ribbon of coloured glass.